Death coffee and why is a blind man reading the paper? [Blue Plate Special](https://www.deviantart.com/jeffleejohnson/art/Blue-Plate-Special-661961724) by artist [JeffLeeJohnson](https://www.deviantart.com/jeffleejohnson). Yeah it is weird… Why is everything priced 15? The home of this art is DeviantArt, and the artist is Jeff Lee Johnson. Anyone got a link for a print of this? Well I’ve already seen it at least 6 times, so at this point it’s lost its charm. The eyeball on the plate…. Nice slice of die pie! Blind man with a newspaper. Well okay. I think the real question is why does the salt shaker have so many holes? Nobody wants that much salt. why is the milk $15? 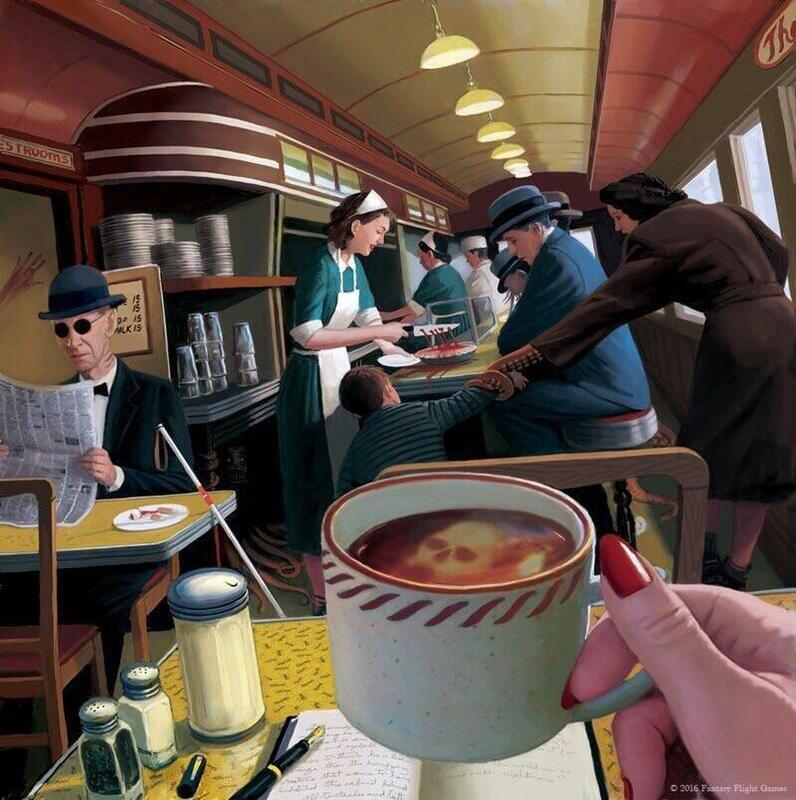 This reminds me of Murder on the Orient Express. Am I the only one? Alright, I can bear tentacle arm, skull in coffee or even blood pie but who’s the sadist who would put the salt in the pepper shaker and the pepper in the salt one. I haven’t got a clue what is going on, but I do like the picture anyway! Nice job OP! Love this picture. Crazy. Where did the pic come from?